Radial tire with automotive-grade tread has 6-ply rating and 1,760-lb max load at 50 psi. 14" x 6" Steel wheel undergoes an eco-friendly PVD coating process for extreme corrosion resistance. Complimentary roadside assistance included. Lowest Prices for the best tires and wheels from Taskmaster. 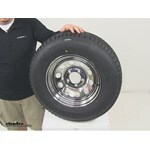 Provider ST205/75R14 Radial Tire w/ 14" Steel Mod Wheel - 5 on 4-1/2 - LR C - Silver PVD Finish part number A14R45SMPVD can be ordered online at etrailer.com or call 800-298-8924 for expert service. Radial tire with automotive-grade tread has 6-ply rating and 1,760-lb max load at 50 psi. 14" x 6" Steel wheel undergoes an eco-friendly PVD coating process for extreme corrosion resistance. Complimentary roadside assistance included. Note: This wheel should be cleaned with only mild soap and water. Do not use rim cleaners or other abrasive cleaners. The highly corrosion-resistant finish on this steel wheel is applied through a physical vapor deposition (PVD) coating process. This process occurs in a vacuum environment so that the aluminum coating binds to the steel at a molecular level. As a result, the coating is harder, more durable, and more wear resistant than chrome plating. Compared to hexavalent and trivalent chrome plating methods, the PVD process creates a finish that withstands the effects of water, flying debris, and other elements for a longer period of time. The aluminum-coated wheels performed for more than 168 hours in salt spray tests, up to 500 hours in water immersion tests, and up to 40 lbs in impact-resistance tests. They won't pit or peel like chrome-plated wheels, and they resist the effects of any chemicals that may be on the road, such as magnesium chloride or salt during icy or snowy weather. In addition, the PVD coating process is an eco-friendly alternative to chrome plating, which is extremely toxic to the environment. 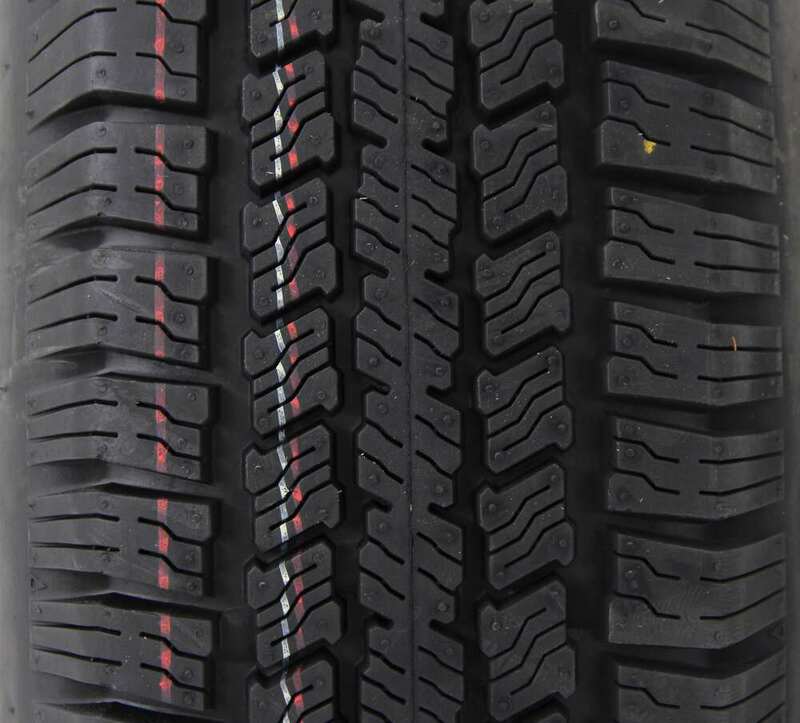 Unlike standard trailer tire tread, which has solid, continuous ribs, the automotive-grade tread on these Provider radials has ribs with breaks. These breaks allow water to run off to the sides. The Provider tread also has sipes. Siping is a process in which thin grooves (or sipes) are cut into the rubber of the tire. The grooves channel water away from the tread so that the tire makes better contact with the road. Both of these features greatly improve traction during wet, snowy, or icy conditions. Provider radials are constructed with double polyester cords and double steel belts for increased durability and endurance. A protective layer of nylon is wrapped around the steel belts to help prevent tread separation. Provider radials are bake tested - a process usually reserved for automotive tires - to ensure that the rubber holds up over time. 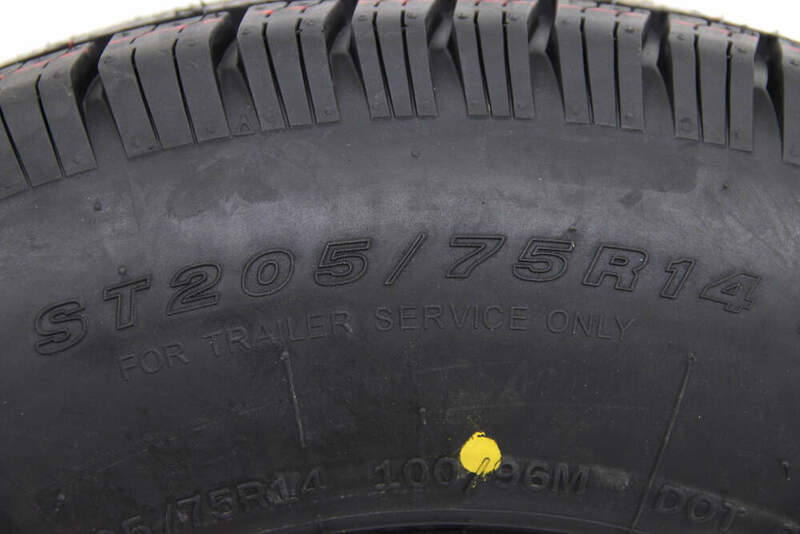 Radial special trailer tire has a ply rating of 6 and a 1,760-lb max load at 50 psi. Great for highway use. Fits 14" wheels. Radial tire has a ply rating of 6 and a 1,925-lb maximum load at 60 psi. 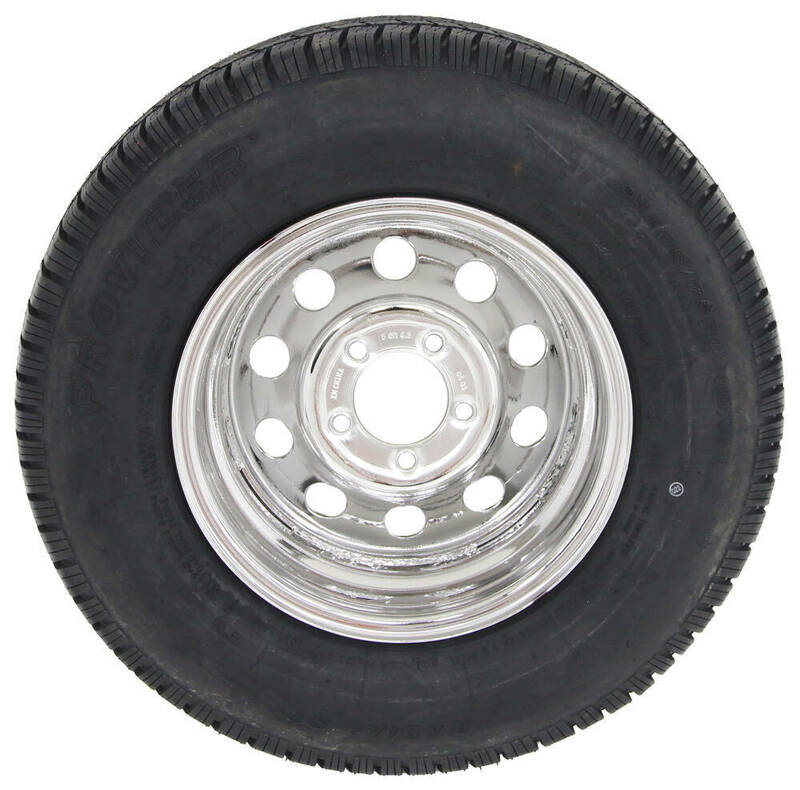 The 14" diameter x 6" wide steel trailer wheel features a 5 on 4-1/2 bolt pattern and a corrosion-resistant galvanized finish. Radial tire has 6-ply rating and a 1,760-lb max load at 50 psi. 14" x 5-1/2" Steel wheel has a 5 on 4-1/2 bolt pattern. Nitrogen fill maintains tire pressure. 1-Year No Excuses Guarantee on tire. Complimentary roadside assistance included. Today we're going to be taking a look at part number A14R45SMPVD. 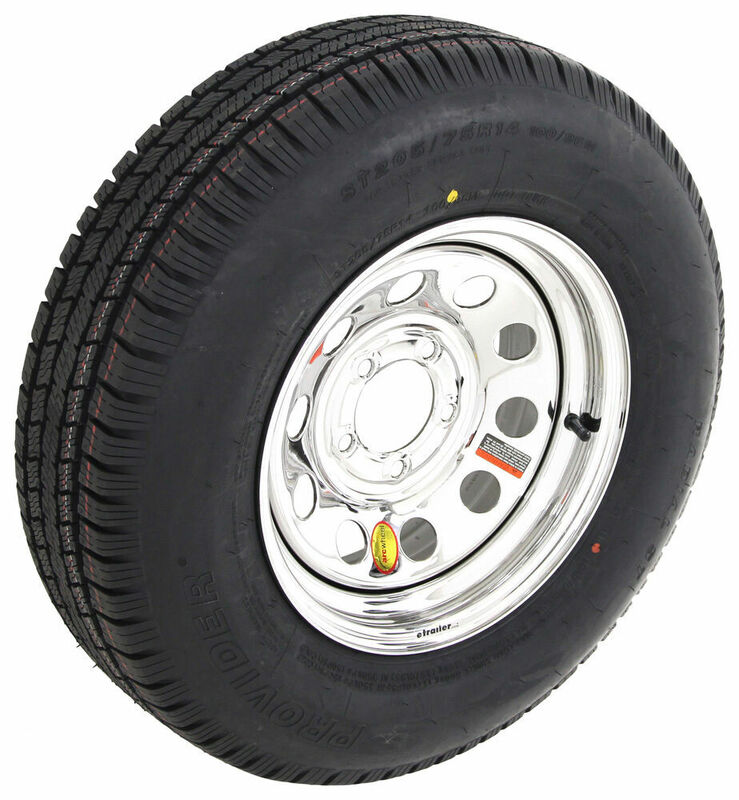 This is the Taskmaster Provider ST205/75R14 radial trailer tire with a 14" steel mod wheel. The tire and the wheel assembly is going to be ideal for boat trailers, stock trailers, utility trailers and campers. It's going to feature the sturdy steel wheel. It's going to have a modular design. Modular design is just the round holes that go around the wheel that gives it a nice look. Now that's going to have a really unique coating on it. It's going to use PVD coating which is physical vapor deposition. The wheel coating process is going to create a sleek silver finish that is harder, tougher, and more durable than chrome. It's a tough, wear-resistant coating that won't pit or peel. It's going to offer excellent corrosion resistance. It actually has a salt spray rating of more than 168 hours and that process is environmentally friendly. The technique is going to bind the coating to the wheel at a molecular level. That's going to be on the front and the back. The only area that doesn't have that coating is going to be this area right here, around the lug holes, and that's because the wheel uses improved torque retention - that's ITR technology. That's going to help keep the wheel securely in place on your trailer. The stud holes are beveled to offer better clamp force retention. The radial trailer tire is constructed with double steel belts and double polyester cords offering a nice long life. It's going to feature nylon tread firming bed overlays to help prevent tread separation. Going around the perimeter we're going to have tread depth bars that's going to give us a visual indicator of tread wear and the assembly meets DOT specifications and exceeds FMVSS requirements. When it comes to the dimensions of the rim, we're looking at a 14" diameter rim that measures 6" wide. The bolt pattern on this unit is going to be 5 on 4 1/2 and that's going to use a wheel lug size of a 1/2" x 20. The wheel capacity is 1,870 pounds. The pilot hole diameter is going to measure 3.27". Again, the tire size is ST205/75R14. It's going to give us a section width of 8.5" and then an outer diameter from top to bottom of 26.14" when fully inflated. When it comes to the capacity, we're looking at a load range C which gives it a 6-ply rating. The maximum load of the tire is 1,760 pounds at 50 PSI. 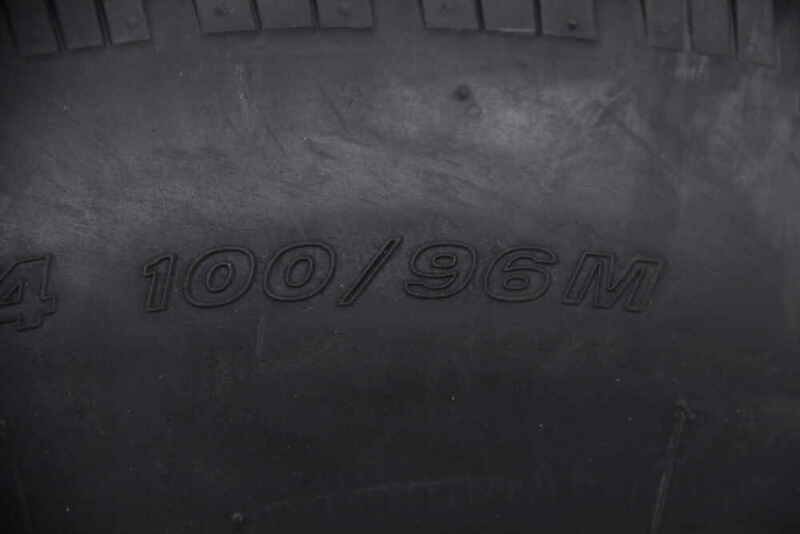 One of the other things I want to point out is if you look just past the tire size, it's going to say 10096M. The "M" is our speed rating. "M" stands for 81 mph so this has a maximum speed rating of 81 mph and again that indicator is listed right there on the outer wall of the tire. That's going to do it for today's look at part number A14R45SMPVD. Order: RelevanceNewestRating - High to LowRating - Low to High Radial tire with automotive-grade tread has 6-ply rating and 1,760-lb max load at 50 psi. 14" x 6" Steel wheel undergoes an eco-friendly PVD coating process for extreme corrosion resistance. Complimentary roadside assistance included. Still going strong. No issues at all. They still look brand new! 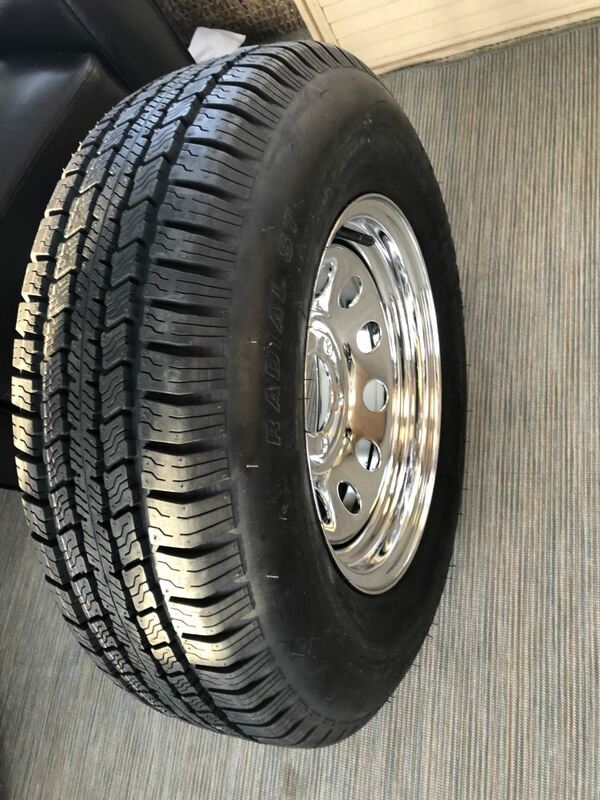 Hello - its been another year and here is a follow-up from our purchase of the Provider ST17580R13 Radial Tires w 13 Steel Mod Wheels in the Silver PVD Finish. 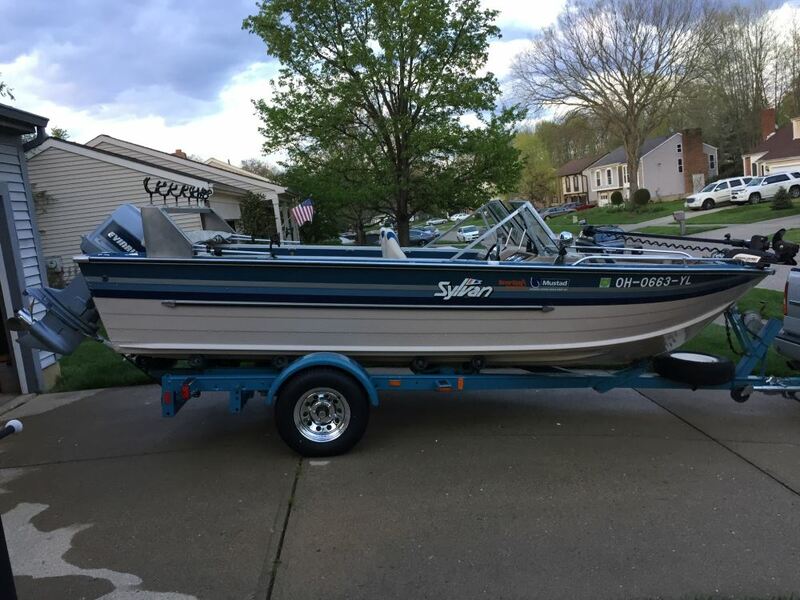 The tires have been working great on our boat trailer - absolutely no problems. Again, we have put in numerous miles around the state on all types of roads in our fishing trips and the tires have served their purpose. Im so glad we purchased these tires. The peace of mind knowing that I have quality tires and rims makes all the difference. Some of the best tires I have had! The Provider ST205/75R14 Radial Tire w/ 14inch Steel Mod Wheel - 5 on 4-1/2 - LR C - Silver PVD Finish # A14R45SMPVD is only available in the 14 x 6 wheel with that PVD finish. 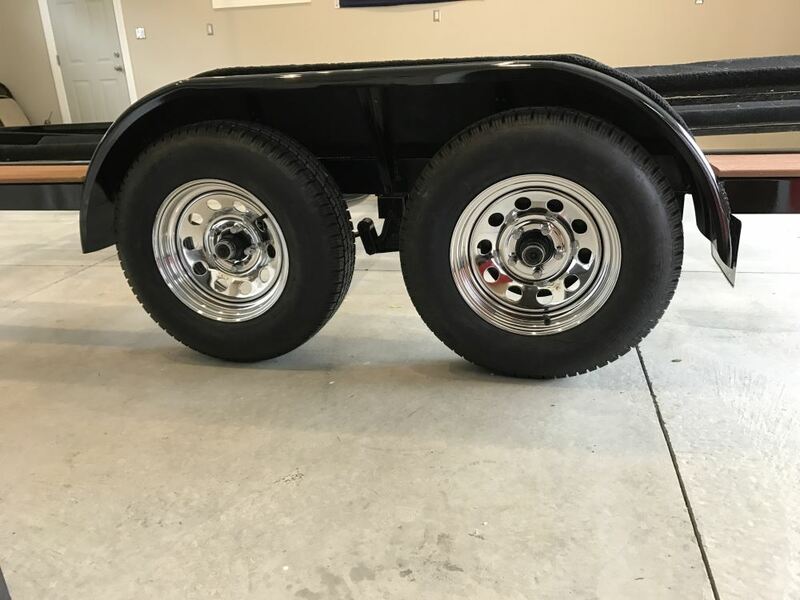 For wheel size 14 x 5-1/2 inch you requested I recommend the Castle Rock ST205/75R14 Radial Trailer Tire w/ 14" Silver PVD Wheel - 5 on 4-1/2 - LR C # 274-000001. I've attached a video to assist. 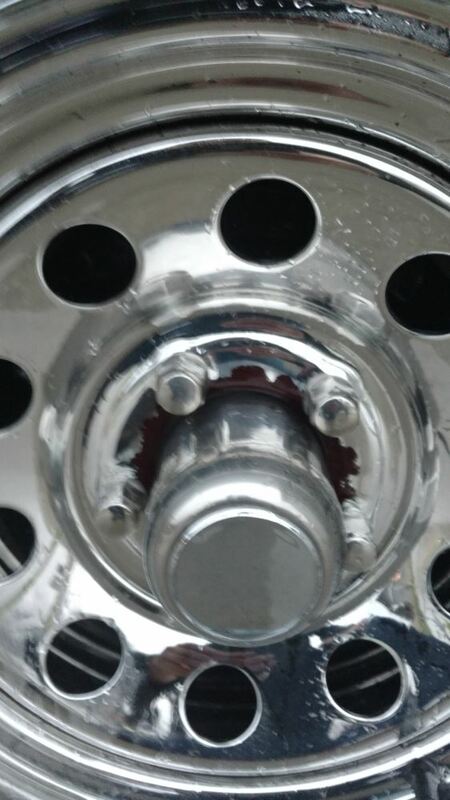 We have a galvanized trailer wheel that has a 205/75-14 tire mounted on it with a 5 on 4-1/2 inch bolt pattern. For that I would recommend the part # A14R45SMPVD. This tire has a higher speed rating than most trailer tires at 81 mph as opposed to most which are only for 65 mph. The smallest diameter 15 inch trailer tire size is the ST205/75-15 like what you have. The only option would be to go to a smaller 14 inch wheel and tire size like the Provider ST205/75R14 Radial Tire w/ 14" Steel Mod Wheel # A14R45SMPVD that you referenced which will be right at an inch shorter in diameter. 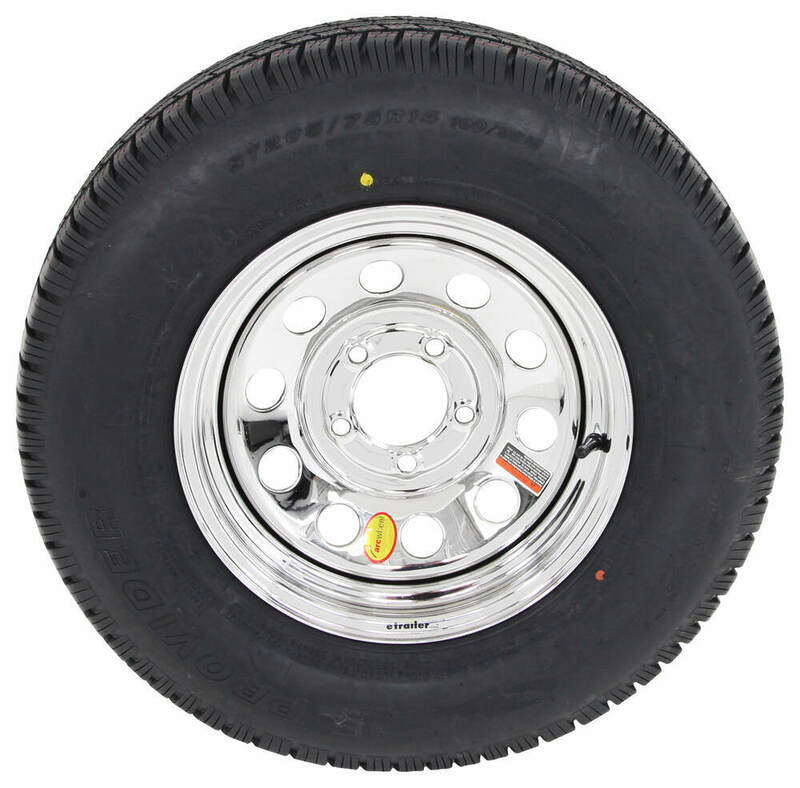 The Castle Rock ST205/75R14 Radial Trailer Tire w/ 14" Silver PVD Wheel part # 274-000001 has a 75 mph speed rating. If you need a higher speed rating then I recommend the Provider ST205/75R14 Radial Tire w/ 14" Silver PVD Wheel part # A14R45SMPVD which is rated for 81 mph.